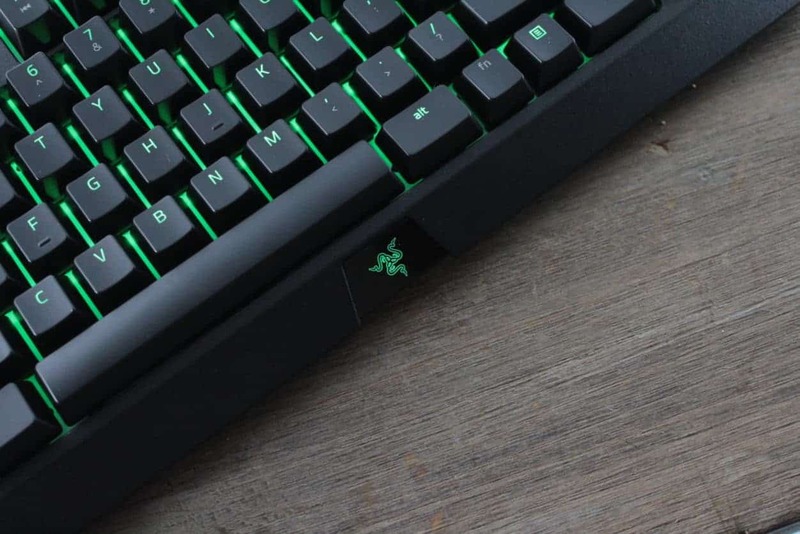 Razer’s Blackwidow line has a long history when it comes to gaming keyboards, and it has been going strong in pro and casual circles ever since its inception. A while ago we reviewed the full sized Elite version of this keyboard which, according to our reviewer, is an ideal board for your home battlestation. Today we’re looking at the Tournament Edition of the Blackwidow line, which cuts the numpad and some other features in order to be a more portable and compact solution for gamers who are often on the road or simply want a little more desk space. What are the major differences between both versions, and which one suits you best? Read on to find out. Update: We’re giving away the Elite version of this keyboard over on our Twitter page. Feel free to go and check it out! Let me get one thing out of the way first; I’m not gonna call this keyboard by its full name in this review. I don’t have any quota to fulfill when it comes to the amount of words that are in a review so I’ll refer to it as the Blackwidow TE or Tournament Edition. On to the keyboard, then. There isn’t really anything that immediately stands out when you’re first unboxing the Blackwidow TE. It’s your regular Tenkeyless (TKL) keyboard with no additional buttons or extra features so it’s a pretty compact unit. It comes with a detachable USB cable as well, which is almost mandatory for anything smaller than a full-size keyboard as far as I’m concerned, so all is well so far. Much like the bigger and bulkier Blackwidow Elite, the TE feels like a very solidly built keyboard. The keyboard is finished with a matte black coating throughout, giving the board a sleek look.There are no extra chrome inserts or additional RGB elements; with its stealthy and dark look this keyboard looks like a weapon that’s ready to do your bidding. Until you turn on the RGB, that is. Thanks to the white backplate the RGB lighting on the Blackwidow TE looks absolutely beautiful and seamless, and as we’ve come to expect from Razer you can completely customize the lighting in their software. RGB lighting isn’t important at all to me personally, but I thought this deserved a mention regardless. 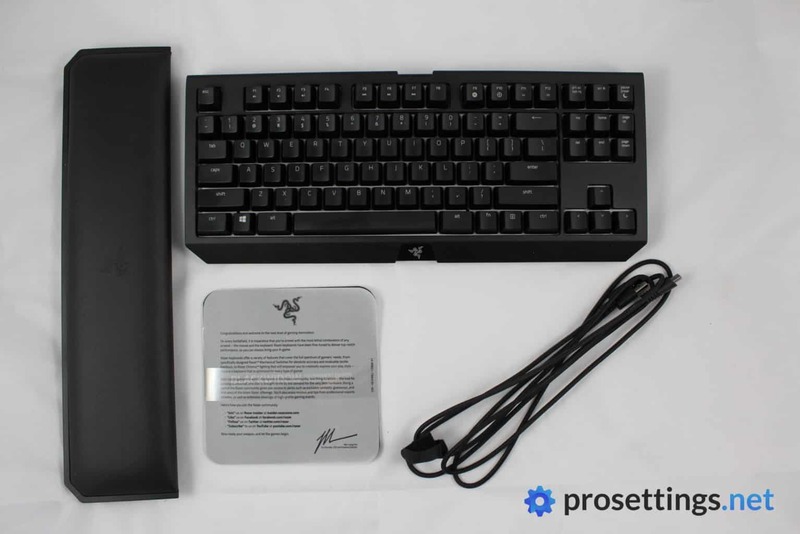 The only things you’ll find in box of the Blackwidow Tournament Edition are the keyboard, the (detachable) cable, the (fantastic) wrist rest, and some of the usual documentation. Inside of the included booklet you’ll also find two stickers with Razer’s logo on them. The fact that this Tournament Edition also has their widely lauded wrist rest is a very nice extra, as it really is one of the best (stock) wrist rests that I’ve ever seen on a keyboard, but more on that later. The Blackwidow Tournament Edition is built for, you guessed it, tournaments. Now that doesn’t mean that it’s only suitable for gamers who are often competing in real life tournaments, but it does mean that some compromises have been made in order to make the TE more portable and compact. The first (and most obvious) change when compared to the Elite version is the fact that there’s no numpad on the TE. Whether or not you need a numpad is going to depend entirely on personal preferences, but for me this is the ideal form factor. I never use the numpad (for browsing or gaming) but I do use the arrow keys (mostly for browsing and productivity) so when it comes to the size the Blackwidow TE is ideal for me. Contrary to the Elite version, the Tournament Edition doesn’t have any extra media buttons. All media controls are accessed by pressing one of the function keys along with the fn key, which is fine to me. Media buttons and dials are an awesome addition to any ‘home station’ keyboard, but they’d just be taking up space on a keyboard that’s designed with competitive players in mind, so I don’t really see it as a negative that the TE doesn’t have any additional features on that front. To further drive home the ‘made for competitive players’ point the (micro USB) cable on the Blackwidow Tournament Edition is completely detachable. I mentioned this earlier, but this is an absolute must for me when it comes to smaller form factor boards. The cable itself is braided and rather stiff, and that last part can be a problem if the connection to the board is too loose or flimsy. Luckily I didn’t ever have an issue where the cable disconnected because of me moving the board around (which is something that I do quite often when gaming) so no issues there. 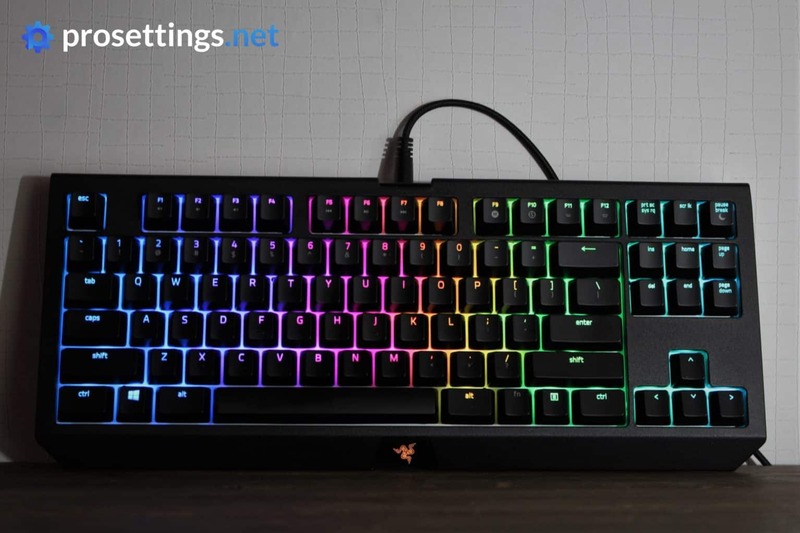 The switches and keys themselves sit inside the keyboard on top of a white backplate, and while I agree with all of Razer’s design choices so far I feel like this one’s a bit weird. 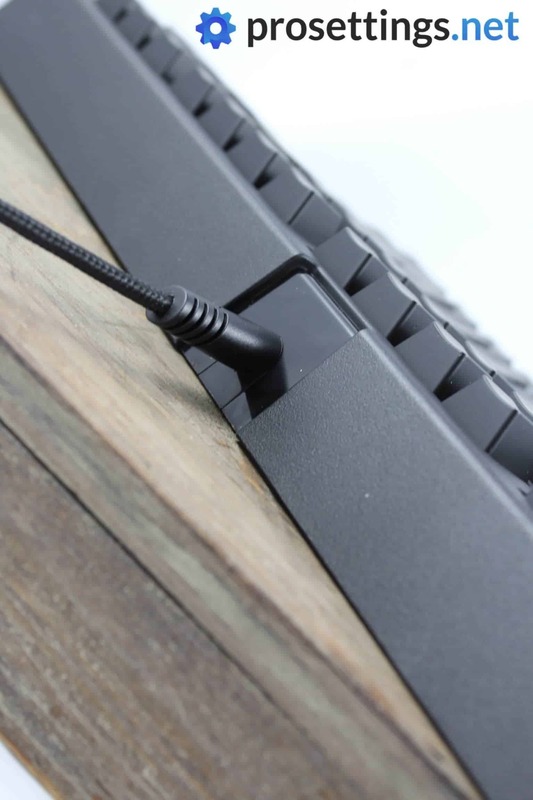 The Blackwidow Elite, for example, has the switches sit atop of the keyboard which makes it way easier to quickly blow out dust and other unwelcome additions. You’d think that they would also go that route with a keyboard that’s designed for portability and ease of use, but they opted to have the keys be recessed here. It’s not a huge deal (especially since cleaning a keyboard isn’t some massive undertaking) but to me it would’ve made more sense if these design elements were swapped between the two versions. 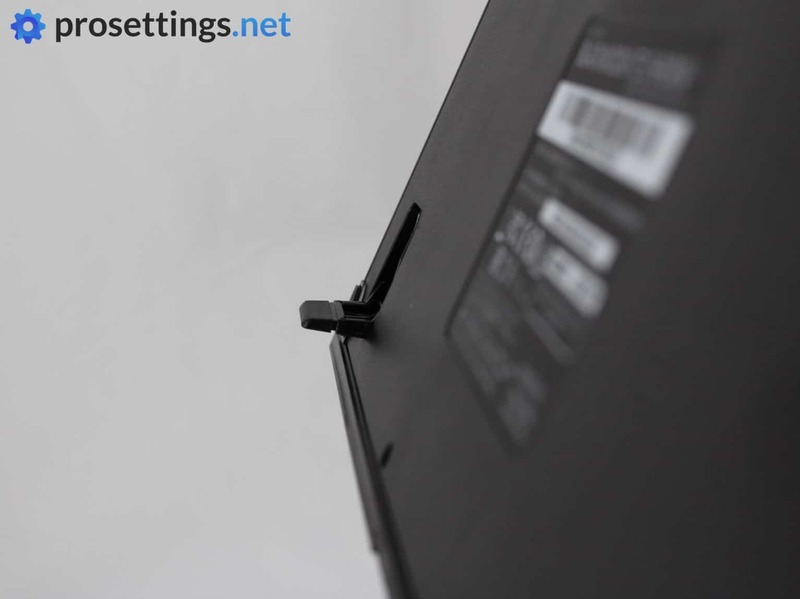 Five rubber elements underneath the board help it stay secure even during intense button mashing sessions, and underneath the board there are two feet which can be used to angle the keyboard. They do their job well and have a rubberized texture on the tip so no complaints there. The last thing that we need to talk about is the included wrist rest. When companies include a wrist rest it mostly feels (and looks) like some kind of afterthought, but that’s not the case here at all. 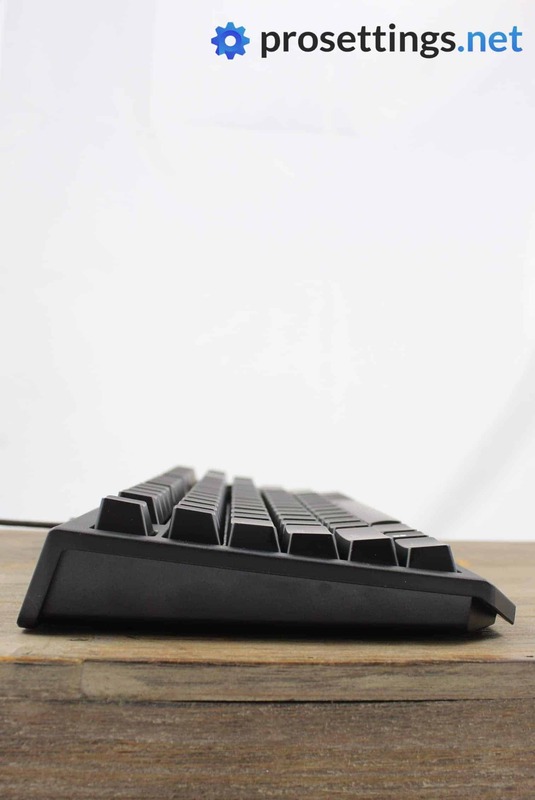 The wrist rest is made out of a very soft and comfortable leatherette fabric, and it attaches to the keyboard via magnets, making it extremely easy to attach or remove. I mostly test wrist rests for about five minutes after which I’ll throw them back inside the packaging for an indefinite amount of time, but I found myself using this one for the vast majority of my testing period. 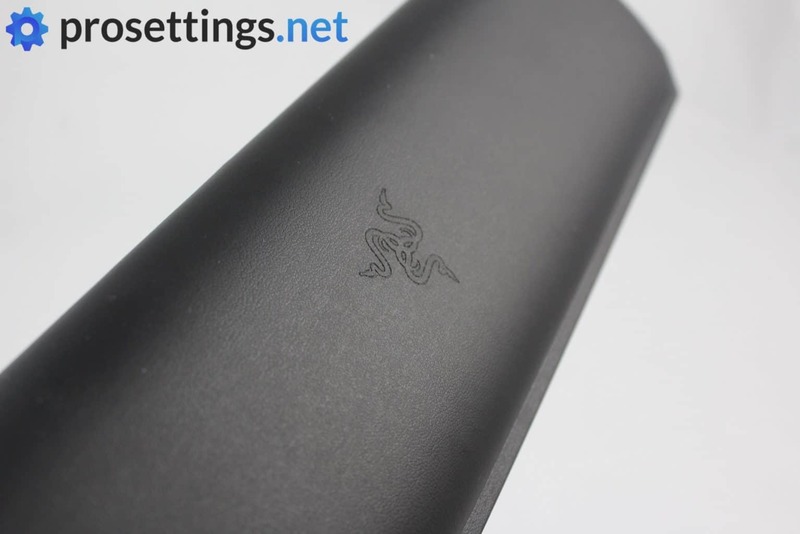 It feels great and looks great, and Razer can be proud of what they’ve achieved here. Razer keyboards come with Razer’s own switches these days (click here to see how they compare to other popular switches) and this unit has Razer’s Green switches. They’re very close to Cherry Blues when it comes to the actual feel and sound. 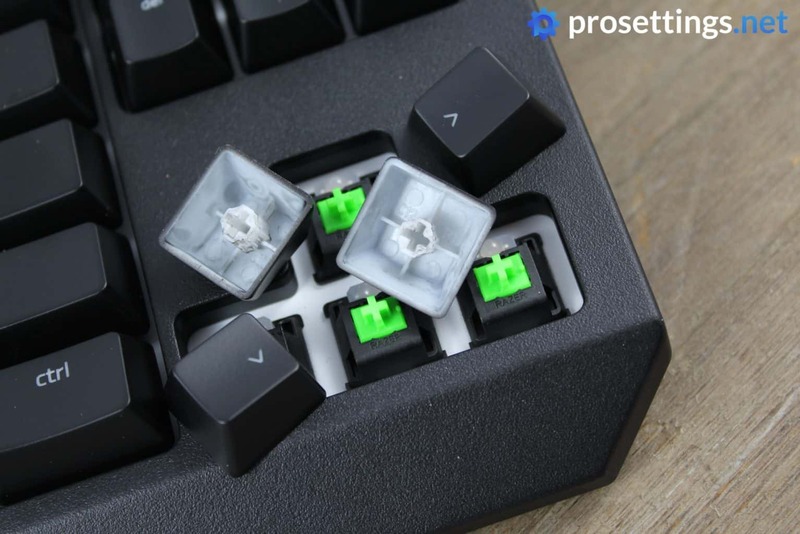 If you like clicky and tactile keys you’ll absolutely love these. They are definitely loud though, so be wary of you want to buy this keyboard (with these switches) and your main gaming setup is located in a room where other people tend to hang out. In order to give you a ballpark estimate on how this keyboard sounds I’ve recorded myself when typing. In fact I’m typing this very sentence right now while I’m recording it. The standard keys feel and sound great to me, with every button feeling consistent and offering a nice and tactile feedback upon actuation, but the spacebar (this board uses Costar style stabilizers) is a little bit wobbly and that could get quite annoying to some of the more die-hard keyboard aficionados out there. It doesn’t bother me personally, but I thought I’d mention it just in case. 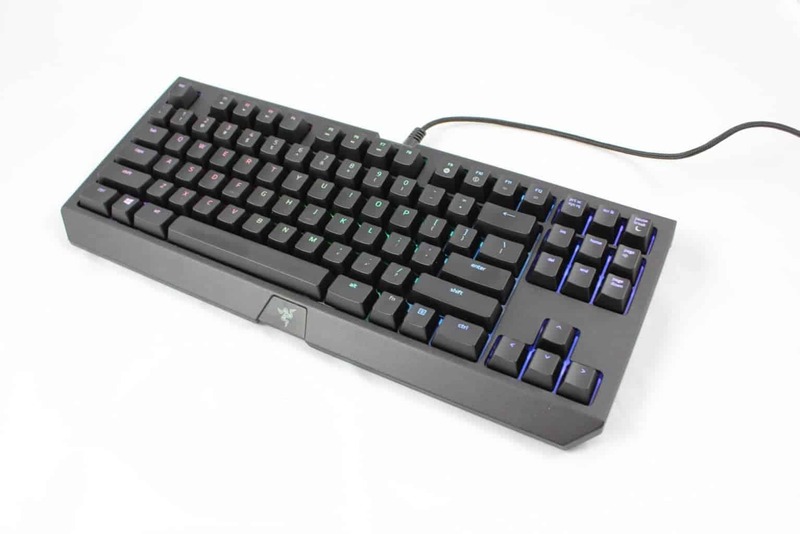 Razer mentions an Instant Trigger Technology (ITT) in their documentation for this keyboard, which is supposed to give you an instantaneous response whenever you actuate a key (thus making this keyboard ‘faster’ than others out there) but even if this is actually faster it’s only going to be noticed in a controlled test environment, as the input delay of any gaming keyboard worth its salt is close to unnoticeable by regular humans anyway. Don’t get me wrong, I’m not saying it doesn’t work, but I wouldn’t buy this keyboard solely for the ITT technology. ITT technology or not, the Blackwidow TE performs flawlessly in games. I tested it in a variety of FPS shooters (mainly CS:GO and Overwatch though) as well as games in other genres and I could comfortably press and spam every key without ever failing to actuate said key. Thanks to the 10KRO you’ll also never have any issues with ghosting or anything like that, unless you play games where you need to press more than ten buttons simultaneously for some reason. Like all of Razer’s products you can fully configure the Blackwidow Tournament Edition in their Synapse software, and it works well. There might be a little bit of a learning curve if you’re first using this piece of software but that’s only logical due to the sheer amount of options the software offers. 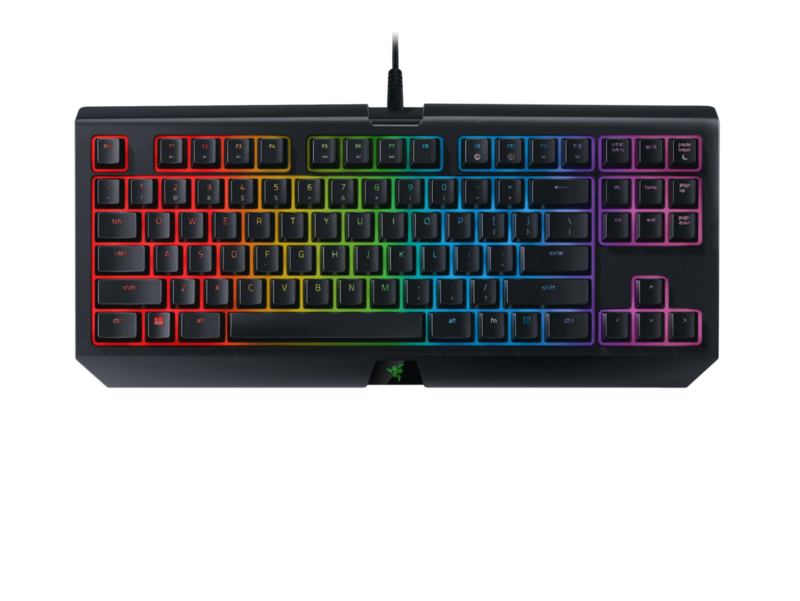 The Razer Blackwidow Tournament Edition Chroma V2 has everything that you’d want from a TKL keyboard, except for an easy to remember name. It is a very sturdy keyboard that drops all unnecessary frills in order to offer the user a keyboard that’s ready for competitive gaming. The Blackwidow TE itself doesn’t really offer anything new when compared to other TKL competition keyboards except for having Razer’s in-house switches, but that’s not an issue. Not every product has to try and reinvent the wheel, and the excellent build and features of this keyboard, combined with the pleasant feeling Razer switches (though I wish they’d add slightly better stabilizers) and the absolutely phenomenal wrist rest make this a keyboard that should be on your radar if you’re looking for an RGB TKL keyboard.